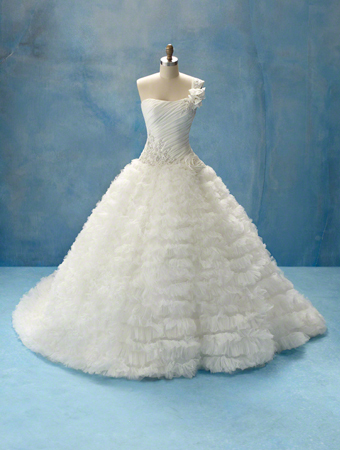 Alfred Angelo Loves Brides In All Sizes. Alfred Angelo creates wedding dresses in a broad range of silhouettes, in sizes 2-28W, meaning a brilliant selection of gorgeous gowns for brides of all sizes, including plus size. 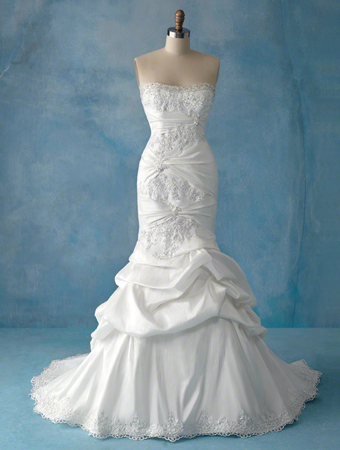 Description: Alfred Angelo Sapphire Wedding Dresses, Spring 2013. 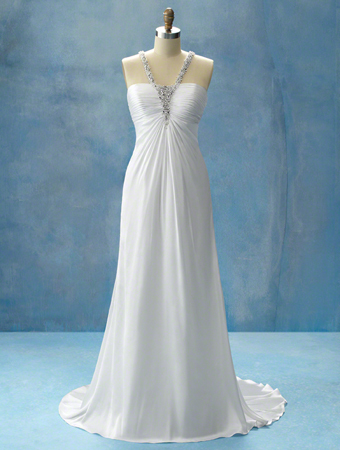 Strapless sweetheart drop waist satin and organza gown detailed with rhinestones and crystal beading. 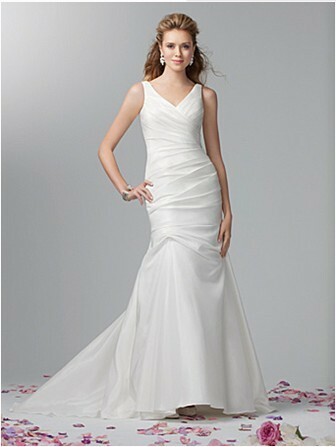 Completed with optional spaghetti straps, a modesty piece and a chapel train.